There are 4 Memory Care Facilities in the Washington area, with 1 in Washington and 3 nearby. The average cost of memory care in Washington is $4,100 per month. This is lower than the national median of $4,650. To help you with your search, browse the 5 reviews below for memory care facilities in Washington. On average, consumers rate memory care in Washington 4.2 out of 5 stars. Caring.com has helped thousands of families find high-quality senior care. To speak with one of our Family Advisors about memory care options and costs in Washington, call (855) 863-8283. Washington, Illinois, is a medium-sized suburban community located in Tazewell County, near Peoria. It has a population of 16,800, including 2,500 seniors aged 65 years and older. Although the county has a relatively low incidence of Alzheimer's, approximately 235 Medicare patients in Washington are affected by the disease, which is the most common form of dementia. Washington itself is home to one facility that supports adults with cognitive impairments, and there are many other options available in neighboring communities. 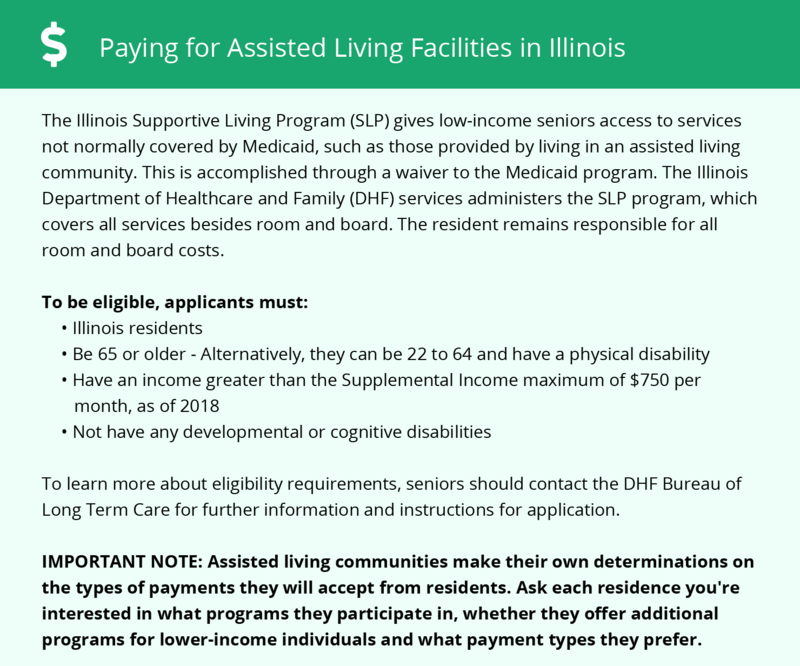 The Illinois Department of Public Health requires specialized training for employees of assisted living and shared housing facilities that operate Special Care Units (SCUs). These standards are described fully in the Assisted Living and Shared Housing Act. On a scale of 1-100, with 100 being high, Washington has a violent crime score of 10 and a property crime score of 21.6, making it substantially safer than other parts of Illinois and the Peoria metropolitan area. Due to the risk of patient wandering, facilities that care for adults with dementia are required to have self-locking doors and other security features to keep residents safe at all times. Washington has a comfort score of 39 out of 100 compared to the national average of 54. Winter lows frequently plunge into the teens, and summer highs rise into the mid-80s with uncomfortable humidity. Families who are visiting memory care facilities may wish to inquire about what systems are available to protect residents from severe weather conditions. One of the perks of residing in Washington is the area's low cost of living. Residents there spend 10 percent less than most Americans on essential expenses, including housing, transportation and utilities. However, healthcare is 6 percent more expensive than average, which can affect seniors' finances. The Washington area is home to world-class medical facilities, including those specializing in brain health and dementia care such as Advocate Eureka Health, OSF Medical Group - Washington and the UnityPoint Clinic Family Medicine - Washington, in the event of medical emergencies or illnesses. Memory Care costs in Washington start around $4,100 per month on average, while the nationwide average cost of memory care is $4,799 per month. It’s important to note that memory care rates in Washington and the surrounding suburbs can vary widely based on factors such as location, the level of care needed, apartment size and the types of amenities offered at each community. To see a list of free memory care resources in Washington, please visit our Assisted Living in Illinois page. Washington-area assisted living communities must adhere to the comprehensive set of state laws and regulations that all assisted living communities in Illinois are required to follow. Visit our Memory Care in Illinois page for more information about these laws.